I am sending so much love your way right now. It takes a lot of courage to be on this journey of awakening and I really appreciate that you are doing the work! 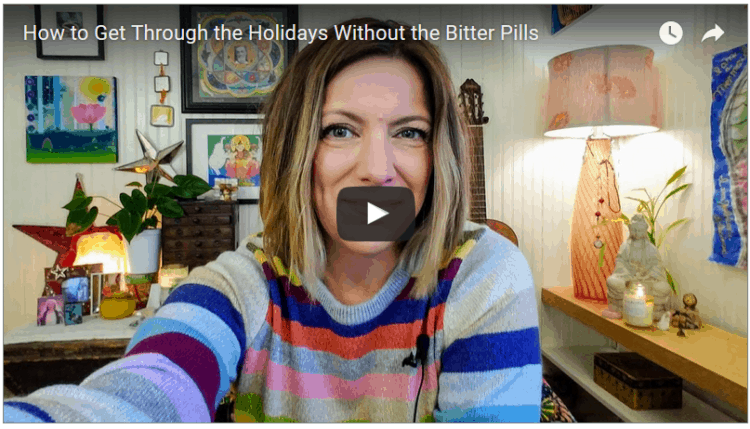 My healing sessions with many here in our Love Posse have been about the bitter pill we try and swallow around this time of year. Some of us have repetitive stories about the holidays — stories like, people don’t care about us or, the ones we really want to celebrate with don’t want to celebrate with us or, we are alone again this year or, we never get to do the things we want to do. We may not always recognize how these stories fester and end up blotting out the love we are actually trying to receive. I could go on, and so I decided to record a video love message to you. May this go to just the right hearts today. Holidays, Family, and Baggage, oh my!